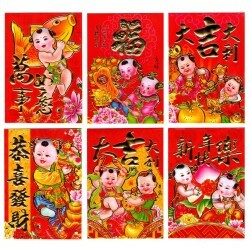 New Year Boy/ Girl design money envelopes. Pack of 6 quality embossed red money envelopes (Lai See). 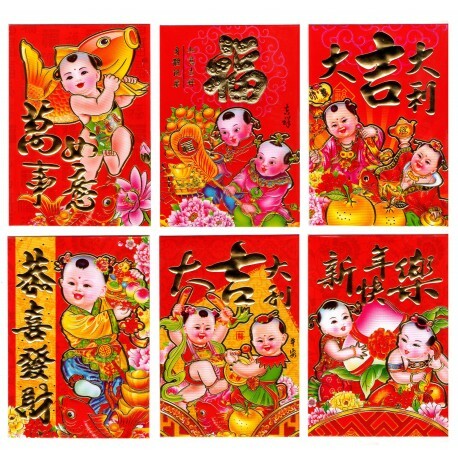 Traditionally given at Chinese New Year as gifts usually with money. 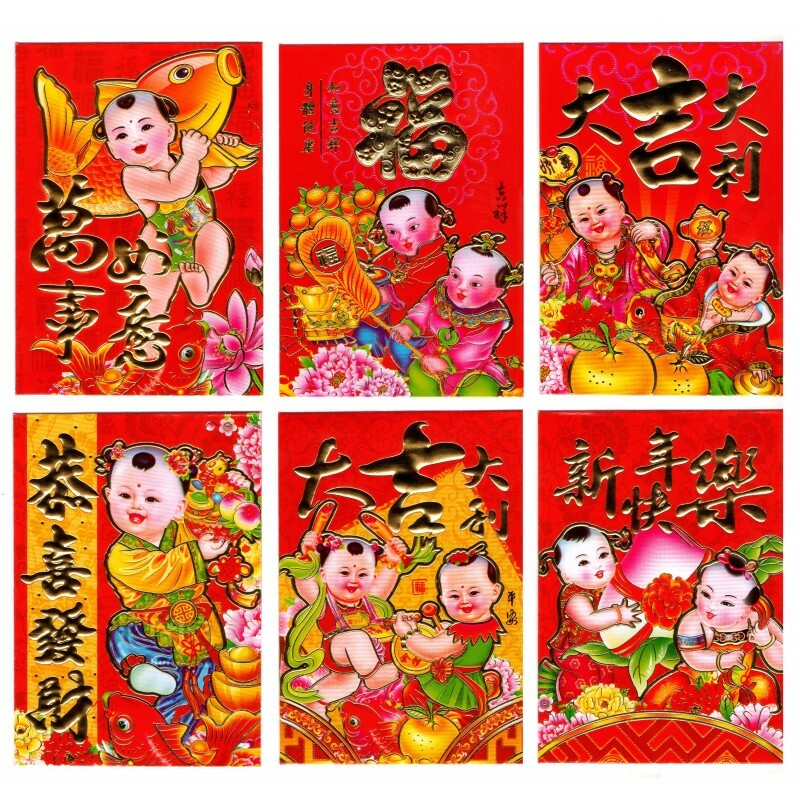 Money envelopes filled with money are given by married couples to children or anyone who are still single and unmarried. Can also be used as general gifts for birthdays, weddings or any other special occasions. Assorted designs as shown. Each pack will contain ONE design only. One of the 6 designs shown will be supplied.